Agriya has adopted outstanding presence in contest field and created sophisticated technology contest software that is utilized for developing different contest websites such as design, videos, text and audios. Our contest software consists of five exclusive features that are main basements of your websites. Let us discuss about each features in detail. 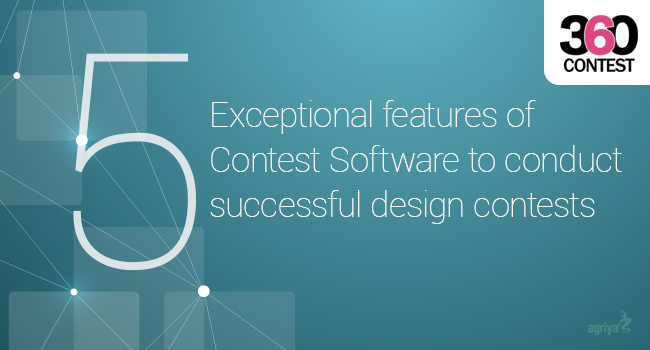 A unique form is needed for each service to convey needs of a contest holder to the designer in a seamless way. This form will help the designers to understand the needs of the user and provides them excellent service. We integrated a dynamic form builder to generate dynamic forms with related to the contest category. A vital role of the dynamic form builder is to help an admin to manage any kind of contest websites effectively and enables site owner to generate form and manage easily. This aspect enables you create exclusive forms for various contest websites to its users and allows the website admin to host any kind of contest websites. It offers various revenue options based on category contest. It is integrated with various payment gateways and encompass as a familiar payment access getting interracial for users. It also provides effective and secured transaction payment process between you and users. Multiple payment gateways facilities are also available for your targeted audience during payment process. It increases your website conversion rates and reduces additional payment integration cost of every website. A unique specialty of our payment system is to protect your database in high confidential manner and ensures high security for contest website successfully during transaction process. We offer turnkey solutions to our clients consistently by focusing on future demands and created our contest script with bootstrap design framework. It is process of enhancing the needs of contest driven website with optimal viewing experience to the user via any portable devices with a high screen resolution. In growing trend of Smart phones and Tablets, this framework can adjust screen size of your contest website in any device automatically and exactly. The bootstrap framework enables you to create a mobile-friendly contest websites easily and ensures better controlling functions. An essential point of the responsive design frame work is to assists the users to access the contest website with high clarity in any mobile devices. This feature enables the user to manage a design contest, video contest, text contest or any type of contest you imagine of in a successful way. You can add branded contest to your website or Facebook page and quickly set-up a photo or video contests to receive applications, which accepts different multimedia file formats including photo, video and audio. User can also host your online contest via targeting your audiences are mostly like to be such as Facebook, Twitter and Instagram. A unique approach of the contest management is to enable users to manage any contest website successfully in high clarity web presence. This aspect provides accurate strategic planning, metrics and measurement that will assists you to design contest websites with social marketing presence successfully. It offers a conceptual plan that tells you exactly where you may be involved in social marketing from a business perspective, success rate measurement, and required tools are to be carried out for your contest websites to a next level. It delivers high competition results and effective social programs. A valuable thing of this social marketing enhances your social media presence on social networking sites like Trip & Yelp advisor, Facebook, Youtube and Urbanspoon.